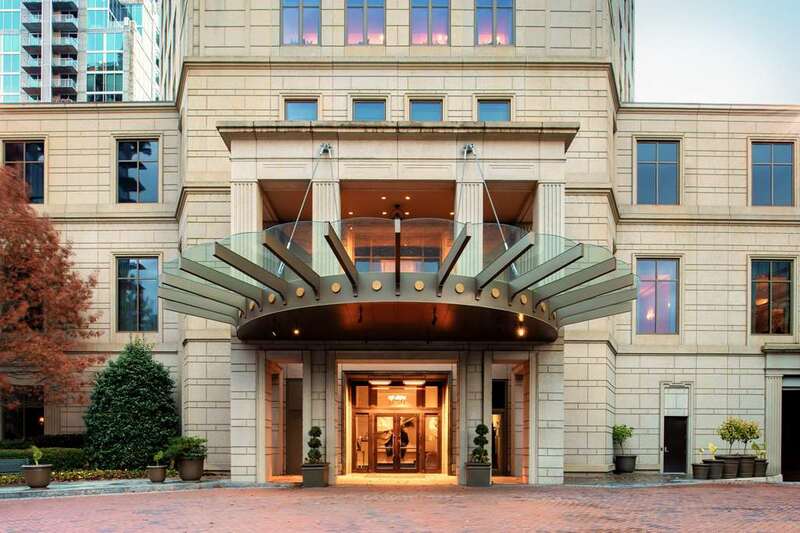 Waldorf Astoria Atlanta Buckhead blends contemporary style with irresistible Southern charm. Soaring 42-stories the property is located on Peachtree Road in the heart of Buckhead the perfect base from which to explore the city with easy access to top dining shopping and cultural attractions. The 127 spacious guest rooms and suites provide guests with city views expansive marble bathrooms and modern technology. Many have outdoor terraces. The hotel boasts a 15 000-sq. ft. spa with holistic spa products and award-winning signature therapies. relax in the 60-foot heated indoor pool and or work out in the state-of-the-art fitness center complete with yoga studio. Dine with delight in the Cafe - Bar where flavorful menus and sophisticated surroundings greet every guest or enjoy 24-hour In-Room Dining in the privacy of your room or suite. Tasty cuisine in inviting surroundings. Supporting Atlanta*s reputation as the home of the *New South*s* Gourmet Evolution The Cafe - Bar is a sophisticated meeting place for delicious breakfasts power lunches and elegant dinners.